The department of Biochemistry is headed by Mr. I. H. Winston Joshua (D.M.L.T.) and handles a large amount of material from the hospital. 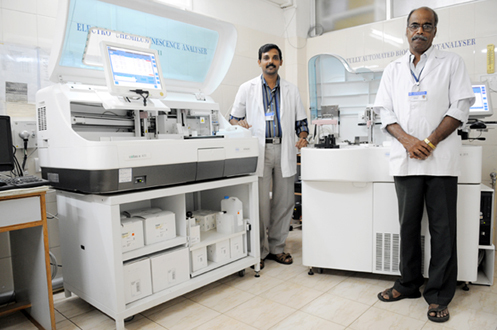 A major stride in the growth of the department was the purchase of an auto-analyser in 2004 to facilitate the speed and accuracy of biochemical diagnostics provided in the hospital.